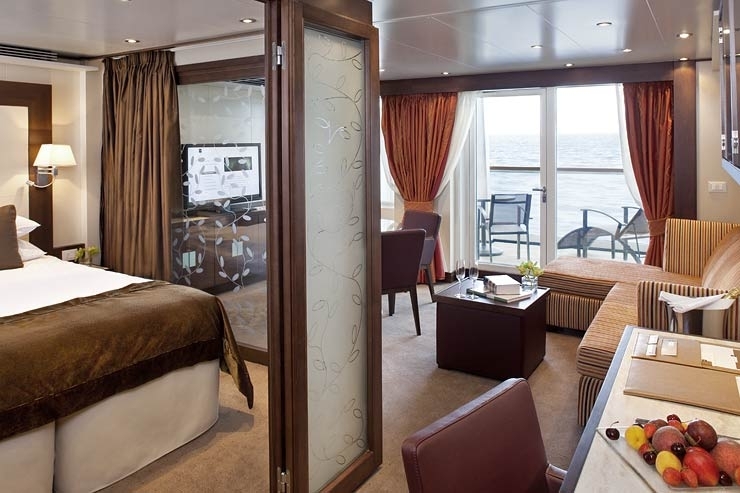 All Ocean-view Suites feature a large comfortable living area. One queen-size bed or two twin beds. Interactive flat-screen television with music and movies. ­All Penthouse Suite feature dining table for two to four. Best-selling audiobooks, CDs and DVDs . 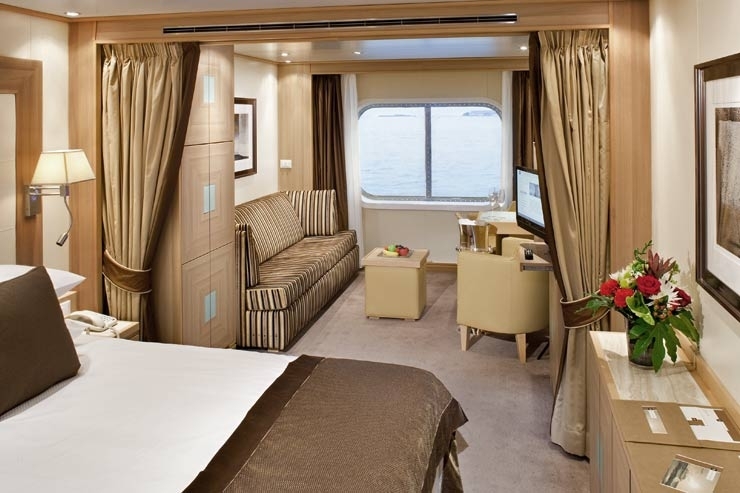 Seabourn is a company that provides ultra-luxury cruises on small ships to the most desirable destinations in the world. 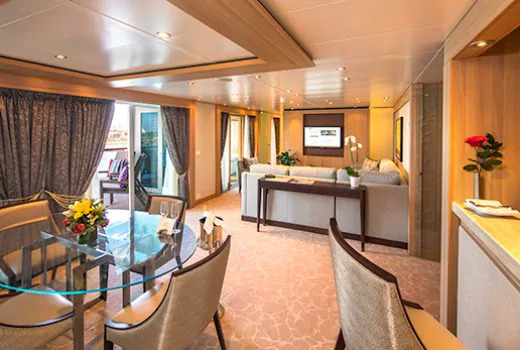 In the 25 years that Seabourn has served its guests, it has consistently been rated not only among the top cruise lines, but also among the world's premier holiday choices.